On an important 3rd & 7 with 2:23 left in the first half, Jacksonville appeared to convert the first down but was charged with a Delay of Game. What would have been a 1st down became a difficult 3rd & 12 that they did not convert. On the ensuing punt, they snapped the ball at 2:11 when they could have let it run down to the 2 minute warning. By snapping the ball early, they gave the Patriots an extra time stoppage for their last drive of the half. We have noted that the Patriots are extremely efficient at scoring before the end of the half, and in their preparation coaches need to be cognizant of this in order to minimize the opportunity for New England to score before the end of the half. The Patriots would score a touchdown on the ensuing possession. We downgraded Jacksonville’s game clock management for this sequence. Having received the ball with 55 seconds left in the first half and two timeouts, Jacksonville elected to kneel the ball instead of trying to assemble a drive. It was an interesting decision to not at least attempt to put more points on the board with 55 seconds to go. New England did a nice job of targeting LB Telvin Smith in coverage. They targeted him for two major catches on their first drive. Once on their opening drive of the second half for a pass that would have resulted in a 30+ yard gain had it not been dropped. And on their 2nd touchdown of the game at 8:51 in Q4 they caught him drifting and completed a pass underneath his coverage that was turned upfield for a touchdown. Credit to New England’s game planning and personnel. Excellent use of run and play action by Jacksonville in the first half of the game. They executed a cohesive and effective game plan in the 1st half in order to gain a significant lead. Credit to their game planning. New England’s biggest defensive adjustment in the second half seemed to be dialing up stunts with their defensive lineman that were extremely effective at landing pressure against QB Blake Bortles. They had some success rushing five but on several important 3rd downs it was just four defensive lineman executing stunts to get the pressure home. Credit to New England’s defensive game planning. On their opening possession of the 2nd half, Minnesota assembled a drive to get them within the Philadelphia 8 yard line. Facing a 4th & Goal, they elected to attempt the conversion instead of kicking the field goal. Philadelphia had a significant lead at this point, but by attempting to convert a low probability 4th & 8, Minnesota staked three points and a significant momentum on the outcome of one low probability play. The attempt was unsuccessful. Although Minnesota needed several scores to get back in the game, we felt it was too early to start chasing points. The drive was effective, and by coming away with points, the offense has some momentum to build off of, whereas coming away empty handed shifted all the momentum back to Philadelphia and their home crowd. Philadelphia dialed up some very effective pressure by sending five to six players to rush the quarterback. The pressure affected QB Case Keenum early, forcing an errant throw that was intercepted and returned for a touchdown, as well as a strip sack in the red zone. Keenum looked unsettled for much of the day and was definitely impacted by the pass rush. Credit to DC Jim Schwartz’ play calling and game planning. Minnesota looked flat in this game, which is understandable given the emotional win they experienced the week before. QB Nick Foles completed 26 of his 33 passes for 352 yards, and was flawless in the second half. It was a good place for Philadelphia and they seemed to catch Minnesota coming off an emotional win, which is to say that both these teams were well coached, one team just executed to a higher level on this day. It’s not like we didn’t already realize it, but it’s worth the reminder that one year can change everything in the NFL. No matter who wins in Philadelphia on Sunday, the NFC for the third year in a row will be represented in the Super Bowl by a team that was .500 or below the season before. In the AFC, Jacksonville is merely trying to become the first team to ever make the Super Bowl after winning as few as three games the previous year. Championship Sunday didn’t give us the predictable once again, and that’s the way we like it. New England may be anything but new as a potential Super Bowl qualifier, but the Eagles and Vikings and Jaguars have never earned a Lombardi trophy, and Jacksonville hasn’t even made the game in its 23-season history. All that novelty should make for great drama. The preliminaries are now out of the way this postseason. We’re down to just three games left to settle the issue. Here’s hoping the best is yet to come. * Last week’s picks: 3-1 (.750); Season: 62-26 (.705). 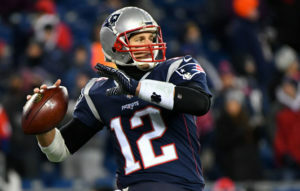 The mystery surrounding QB Tom Brady’s mid-week throwing hand injury certainly adds an element of uncertainty to the Patriots’ seventh consecutive AFC title game appearance, and only boosts Jacksonville’s chances of making this a competitive, four-quarter game. If it’s a jammed or dislocated thumb, and Brady can’t grip the ball as he normally would, his accuracy could easily suffer. I was of the mindset the Jaguars are a tough matchup for New England to begin with, given their speed and athleticism at each level of the defense, combined with their ability to pressure the quarterback and disrupt a passer’s timing. Yes, Jacksonville gave up 42 points to Pittsburgh last week, but it took some ridiculous Steelers touchdown catches and throws to manage that, and it may have been the best six-touchdown defensive effort I’ve ever seen. The Patriots generally wait for their opponents to make costly mistakes and then capitalize, using their consistent execution and playoff pedigree to demoralize a postseason novice like the Jaguars. But I don’t think this proud and loud Jacksonville club is going to be intimidated easily, and if QB Blake Bortles can stay away from the game-turning miscues, I foresee a one-score game in the fourth quarter. When all is said and done, though, it’ll be New England that eventually finds a way to prevail, earning a remarkable eighth Super Bowl trip of the Belichick-Brady era. Winner: New England. Both the Eagles and Vikings should feel overwhelmingly fortunate just to have survived last weekend, when they were one play away from likely elimination on their own home field. 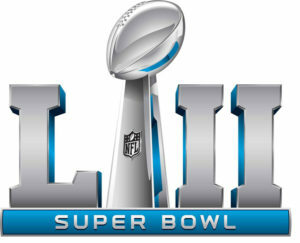 So which team will seize the second life it was given and make the most of it, putting forth a winning effort that erases the uneven performances on display in the divisional round? Both big-play defenses have the ability to win this game on their own, only underlining how critical it is for both Minnesota and Philadelphia to get clean, efficient quarterbacking that keeps their team in the game and doesn’t commit the key mistake. I’ve got a bit more confidence in QB Case Keenum pulling that off, but then again, when things got tight against the Saints late last week, he started throwing the ball up for grabs and making risky decisions. Obviously his daring worked out in the end, but the Vikings can’t rely on the miracle-finish game plan once again. An early lead would do wonders for the Eagles’ chances, allowing them to call a smart and somewhat conservative game with QB Nick Foles under center, while also keeping what’s sure to be a rabid Philadelphia crowd on the edge of its seat and into every play. But Minnesota feels like it has a little karma on its side with the Super Bowl being played in Minneapolis, and the Vikings overall were the strongest, most consistent team in the NFC this season. I predicted last week’s Saints-Vikings winner would make the Super Bowl, and I’m sticking with that call. It’ll be close, and rather low-scoring, but it’s Minnesota’s moment. Winner: Minnesota. The Eagles made the adjustments on defense that were necessary to win the game. The Eagles committed personnel to stopping the run in the second half after not being able to consistently set an edge in the first half. 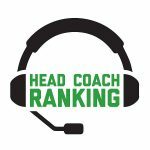 This was surprising as the Eagles had the top run defense in the NFL during the regular season. The Falcons running game was inconsistent at first and was rendered ineffective at the end of the game. Philadelphia shut down the Atlanta running game the second half. RB Devonta Freeman was unable to get going in the second half and finished with 10 carries for seven yards. Meanwhile RB Tevin Coleman had the same number of carries for 89 yards. The decision to keep Freeman in the game, even on passing downs was a curious decision as he was struggling getting into a rhythm on a grass field and was ineffective in pass protection. Atlanta either ignored this or failed to recognize Freeman’s struggles. Perhaps this game would have been different had Coleman been allowed to run more frequently in the game, especially as Freeman stated after the game that he was suffering from PCL and MCL sprains. Freeman was on the field for 56% of Atlanta’s offensive snaps as opposed to Coleman who was on the field for 46% of the snaps. Philadelphia’s defense by taking away the running game forced Atlanta to throw into the wind in the second quarter and they didn’t move the ball significantly until the game’s final drive. The Eagles play-calling especially in the run game was excellent against a tough Falcons defense that had momentum coming into the game, having shut down the Rams and RB Todd Gurley the week before. One of the better play calls was a handoff to WR Nelson Agholor who lined up in the backfield and took a handoff 21 yards for a first down early in the 2nd quarter. The Eagles would later score their lone touchdown on the drive. The commitment to the run game helped Eagles QB Nick Foles as he completed 23 of 30 passing attempts for 246 yards. It was not just play-calling in the game that helped Philadelphia, but the tempo that they played at during various times of the game. For example, Philadelphia, especially after long gains would go up-tempo and call run-pass options. This allowed Foles to get into a rhythm, especially during the third quarter when he completed five passes in a row. The run-pass option, or even the threat of it slowed down the Falcons aggressiveness during the game as they had to commit personnel to finding the ball carrier. Rather than kick a field goal to tie the game, the Eagles attempted to score a touchdown. They were successful as RB LeGarrette Blount ran over the right side for a one-yard score. The Eagles would go on to miss the extra point. This would be the only touchdown they would score all game. The Eagles moved the ball down to field goal range with quick passes downfield and the used two timeouts that they had saved for the end of the half. Jake Elliott kicked a 53-yard field goal to make it a 10-9 game at the half. Good clock management. The Eagles kicked a field goal to make it 15-10 as opposed to attempting a fourth down conversion on the Atlanta three-yard line on fourth-and-1. This capped a 14-play, 80-yard drive. Had the Eagles failed to convert on fourth down, the Falcons would have been able to take the lead with a field goal. This was a big moment in the game as Atlanta would need to score a touchdown at the end of the game to win the game. The Falcons final set of downs in the game was the difference in the game. It showed the difference between the Falcons, the NFC Champion from a year ago and the current edition of the Falcons. The final set of downs began with an incomplete pass to WR Julio Jones on first down, an incomplete pass to little-used Terron Ward on second down, a seven-yard completion to Julio Jones on third down and on 4th and 2, an incomplete pass to Julio Jones. The Eagles defense came up big here. Yet, the Falcons showed their over-reliance on Julio Jones. While Jones finished with 101 yards and nine catches, the Falcons only had 281 net yards. Last year the Falcons had the league MVP, Matt Ryan throwing the ball over the field to numerous targets. They’ve spent draft picks and free agent money on skill position players, most of who were largely absent in this game. Tight ends Levine Toilolo and Austin Hooper both had one catch in the first quarter. Toilolo was targeted once after the first quarter. Hooper was not targeted after his catch. The Falcons became much easier to defend this year than last when the opposition knew that Jones was going to be the focus of the offense. It was the first playoff win for the Eagles since the 2008 season. The Eagles gave up no points in the second half. The Falcons last scored with 5:41 left in the first half. The Falcons used two timeouts early in the second quarter, on the same drive, on defense. Both of the timeouts came after Eagles first downs. The Eagles later scored a touchdown on the drive.